Whether you are selling yourself, a political campaign, a non-profit, or the most exclusive experience that money can buy, it doesn’t matter. We are all in the business of selling. As such, your website should become your digital storefront, with a focus on delivering valuable experiences that pull your audience into taking simple but strategic action-steps within your marketing and sales funnels. This is smart business and should be the backbone of all website strategies. 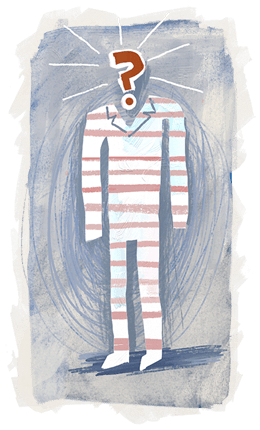 You have to become fixated on figuring out how to convert the attention of your audience into a personal relationship with customers. Most businesses start from a belief that they can simply upload a nice looking website, with some basic information, pretty imagery, a contact form, and new customers will just start lining up. While digital lipstick initially turns heads, without substance, it will inevitably fall short of expectations. Thus, convinced their customers are too unique, they view websites as an expense rather than a valuable customer-generating investment. Therefore, their website is simply used as a digital brochure or something that just makes them feel important. We argue, however, that no one really needs a website. Instead, they need more customers. And so, figuring out how smart websites deliver on that promise, better than any other, is the name of the game. A well-built website should be a vehicle that allows businesses to generate customer relationships at scale. 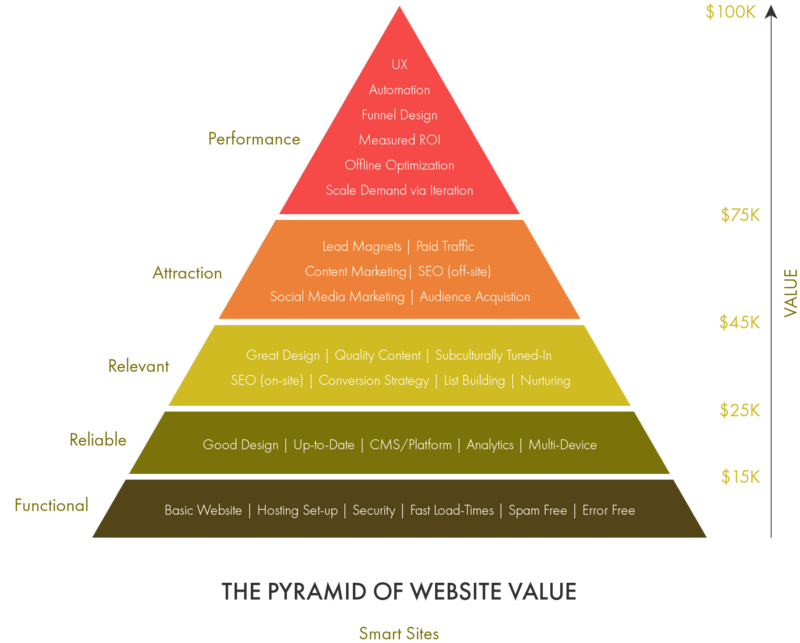 With that said, it is vital to understand the anatomy of what goes into successful websites and the estimated investment associated with each stage of the value pyramid. For those willing to make proper investments in their digital arsenal, a smart website is the single best investment that money can buy.